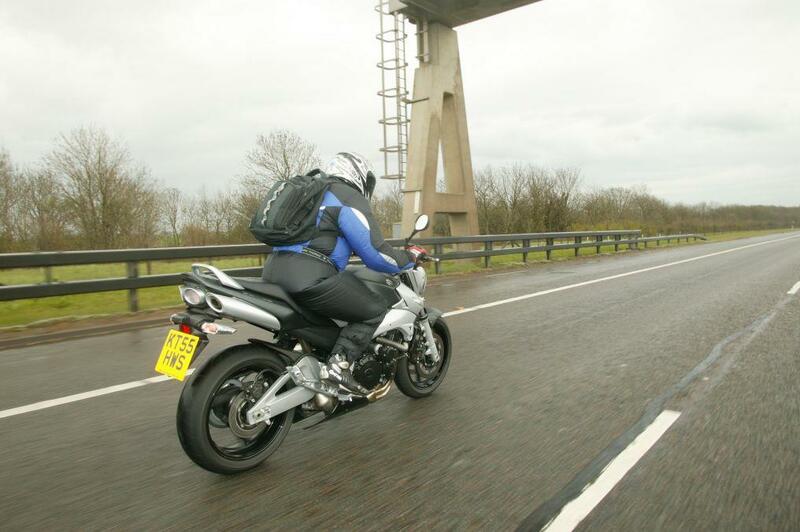 Motorways may be boring to ride on, but they are the safest roads in Britain despite the high speeds and vast volumes of traffic that use them. This is because they traffic joining them filters on and off on the slip roads at junctions, instead of pulling across at right angles to on coming traffic. The two streams of traffic are also separated by the central reservation. To make them even safer for you on a bike there are a few simple precautions you can take. The first is the two-second rule. Stopping distances are a lot longer at high speeds, but if you maintain a two-second gap, you should always have plenty of time to stop or avoid and vehicle or obstacle like a rubbish shed from a lorry. The next is lane-positioning. There’s no need to split lanes unless the traffic gets jammed up and is moving really slowly, so you are filtering. But if you position yourself so that the vehicle in front can see you clearly in their mirror you have established your presence and if you do decided to overtake them, they are less likely to change lanes into your path. You can also use your greater height to scan ahead over the roofs of cars for any dramas up ahead.